I’m a fan of tradeshows for many reasons. First and foremost, I really enjoy meeting with our clients, prospective clients, and partners face to face. That being said, there are two things I don’t particularly like about tradeshows. First, they are incredibly expensive. 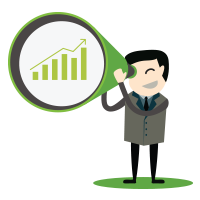 In fact, they are the most expensive form of lead generation of all channels. Second — which I thankfully no longer have to personally worry about — is the planning and execution. It’s an incredibly stressful form of marketing because of all the logistics and details that are involved and, since it happens at a very specific time, there is no margin for error. Fortunately, I’m pleased to say I have one of the world’s best marketing teams, and they are exceptional at planning and executing events. These tips I’m providing come from the experience of working with that team and wanting to share with all of you. Always good to have a theme to your booth. Also, be sure people can quickly understand what your company does. Throughout my career I’ve heard people say things like, “We have to be at this show” or “If we don’t have a booth, people will wonder why we’re not there.” Or, you may be concerned about upsetting a partner if they’re hosting the event and you don’t exhibit. There can be a whole list of reasons as to why you feel the need to exhibit at a show, but you have to really question the tradeshow ROI. Many times in my career I’ve talked with marketing teams after a show and they say, “I don’t know if that was worth it.” And yet a year later they express the same need to exhibit again. By being more deliberate about when you sponsor a booth, you can free up some of your marketing dollars from tradeshows and invest in marketing technology, programs and people that can drive higher volumes of leads at a much lower cost. Most expensive real estate there is: Sponsoring a booth is usually the most expensive aspect of tradeshow marketing, so this the first question you need to ask yourself. Take into account all of the costs associated with having a booth: exhibitor costs, cost per square foot, expo hall costs for drayage and such, booth design, staffing, travel, giveaways, rental fees, etc. Expo hours are limited: Truly evaluate how many expo hours there are going to be and what they’re competing with (lunch, keynote speaker, etc.). It’s common practice to have a cocktail reception during expo hours. While that can seem like a draw, people are highly distracted and not really engaging with you at the booth because they’re mixing and mingling with other attendees. If you give something away, have it tie to your theme/services. The Demand Factory™ Lego Kits was a hit for us. If you go big, have a theater: If you do decide to have a booth, theaters are a great way to create enthusiasm and excitement and draw people in. Human beings are social by nature and tend to group together. Having a theater with an appropriate sound system and good seating will encourage people to join others to listen to your presentations, which will in turn attract more people to your booth. Give to get: Think about what you’re giving away and how it can tie into your product or message. 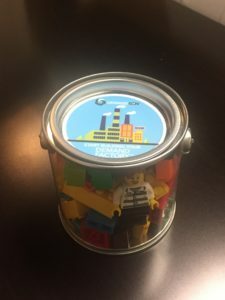 At a recent tradeshow, we gave away a custom kit of legos that tied into our message of building your own Demand Factory™. They were almost all gone the very first day. Instead of handing out something like a flashlight with our logo on it, our giveaway tied directly into our brand message and services. 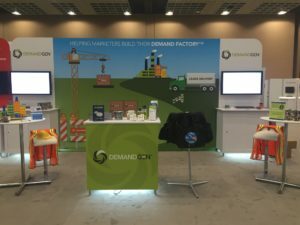 Make sure the right people are working the booth: When I walk up to someone’s booth at a tradeshow, I usually find I’m talking to the marketing team responsible for setting up the booth. However, they typically don’t have sufficient product depth or expertise to discuss a prospect’s pain points and position the products. Salespeople do, but they’re often meeting with clients instead of working the booth. If you don’t have the right people engaging with show attendees to generate and qualify leads, even the best planning and preparation will end up in failure. Make sure you send your most extroverted people, the kind who will strike up conversations with strangers in the Starbucks line. Dinners don’t work: During a dinner, your team members will be engaging with only one or two people at best. A mix-and-mingle event, such as a cocktail reception, is much more conducive to having meaningful conversations. Provide high top tables to encourage mingling, a variety of food stations and some light background music, whether it’s a DJ playing lounge music or even a live band. An added bonus: if you do them consistently year over year, people will start to look forward to them. They’re great for prospecting: These are a great opportunity for prospecting and meeting up with your clients. Take a look at the show schedule and find a time that doesn’t compete with show hours so you’re not competing with other activities. Your clients can serve as an extension of your sales team by talking to prospects about your products and the great work you’re doing for them. It’s a great way to have a whole bunch of evangelists speaking with prospects on your behalf. Consider getting partners involved: Cohosting an event with a partner provides several benefits. First, you get to share the expenses of hosting the event. Second, doubling your marketing efforts will help drive attendance. And third, you’ll strengthen the relationship by working together. Use the pre-reg list for meeting targeting: We’ve had anywhere from 500-1,500 people register for events we’ve held this year. And as people register for your event, you’ll discover which of your clients and prospects will be attending the conference. You can then provide that list to your sales and client teams so they can schedule one-on-one meetings in a private suite (see Tip #3). A word of caution: don’t count on anyone other than your marketing team to drive attendance. Yes, provide sample invites and information for your sales, client, and customer success teams to share with clients and prospects. In my experience, however, if you rely on those teams for outreach, you’re going to fall short on attendance. It’s best to stick with a hybrid approach. There’s so much going on during a tradeshow that it’s important to find someplace quiet where you can have productive conversations with your clients and prospects. A hotel suite is perfect for this, and you can also use it for late-night, informal get-togethers. If the event provides a preshow attendee list, use that to start booking meetings in your suite along with your pre-reg list if you’re hosting your own event. Make sure the suite is big enough in case team members book overlapping meetings, and provide beverages and snacks for attendees (in addition to your marketing materials), who may be running from one activity to the next without a break. We typically book our suites as soon as we know the dates for a conference, about a year in advance. You can always cancel your reservation if necessary, but if you don’t make the reservation early enough the designated hotel will often book up. There is no single better way to generate interest in your products and services than by having someone else speak on your behalf. You can do this by exhibiting at a level that automatically provides you with a speaking slot, or you can work with your clients to submit a proposal during the event’s call for speakers. Either way, help your clients draft the presentation. They often don’t have the time to put something like this together on top of their day jobs, and you can help position your products and services and make sure your contact info is included. At the Marketo Marketing Nation Summit this past April, Kate Cindric Federhar with CenturyLink concluded her session by sharing DemandGen’s role in her organization’s success and encouraging attendees to check us out. She also mentioned we were in the audience, making it much easier for people to come find us and ask questions (don’t forget to attend your clients’ sessions!). And if you do have a booth, you can expect an increased amount of traffic after your client’s session. Our corporate mission here at DemandGen is making marketing heroes, and one of the ways we measure our effectiveness is by how many of our clients win awards. Many conferences provide opportunities for attendees to win awards based on the great work they’ve done at their organizations. Just like with speaking engagements, however, your clients are busy and may not even realize they’ve accomplished something potentially noteworthy or award-winning. Sometimes all it takes is a little encouragement and help from you for your client to take the plunge and complete an award submission. And it’s a win-win: it’s tremendous visibility for your client to win an award, and it also happens to be great visibility for your company. More and more tradeshows are offering mobile apps to help attendees take advantage of all the activities throughout the event. We use them to remind people when our events are taking place and to post pictures and content. In addition, take advantage of all the social channels relevant to your show, and be sure to use the event hashtag if one exists. If your clients are speaking or winning awards, highlight that on the social channels. Tweet highlights from the sessions you’re attending to show you’re engaged and knowledgeable about the things that matter to your clients and prospects. Some ideas you can plan ahead of time, but you never know what opportunities might present themselves during the actual event. Remember Oreo’s You Can Still Dunk in the Dark campaign on Twitter during the Superbowl a few years ago? Although an unexpected blackout temporarily shut down the game, Oreo’s social media team saw an opportunity and quickly put together an image that was retweeted more than 15,000 times when the first news stories hit online. Look for similar opportunities at your own events. 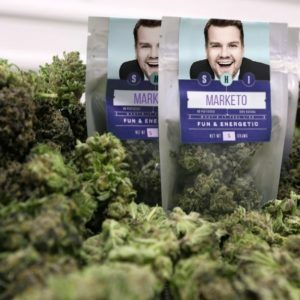 At April’s Marketing Nation Summit, host James Corden jokingly said the name “Marketo” sounded like a strain of marijuana, especially fitting since Marketo CEO Steve Lucas is from Colorado. The joke got big laughs, and DemandGen’s marketing team quickly created an image that we then tweeted and posted in the show’s mobile app. It was a fun way to call attention to what was happening on stage, and also a way to connect with attendees and let people know we were there. Find unique opportunities to stand out and join the conversation on the mobile app and social media. This comes back to the point that I was making in Tip #1 about being sure you send the right people to the show. If you’re going to send people to an event, make sure you maximize that investment by conducting preshow training, especially for people who are new to your company or have never worked a show. Coach them on how to interact with people and generate leads — not just inside the booth, but throughout the conference. Train your staff how to engage with attendees walking by the booth and also how to bring curious attendees standing a few feet away into a conversation. Teach them not only how to initiate a conversation and qualify someone’s interest, but also how to cordially wrap things up after a few minutes so they can meet the next attendee. In an ideal world, the conversation could keep going. During precious booth hours, though, there is a limited amount of time to speak with everyone. Some really good leads can come from simply waiting for or riding in an elevator with other attendees, or introducing yourself to the people sitting next to you before or after a session. We train our people to strike up friendly conversations by asking people how the show is going, where they came in from, and what company they’re with. You never know where those conversations may take you. I’m not just talking about the marketing materials you might hand out in your booth or in your suite. Think of clever ways to provide added value to attendees, such as a blog post that compiles a list of the best sessions to attend (including the ones where you, your clients, or your partners are speaking, of course). It’s a great way to show people that you’re very involved and knowledgeable about the event. People also love to know about all the parties and events taking place during a show. Create a spreadsheet or some type of document that people can download and share it in a blog post or on LinkedIn, for example. This is another opportunity to find out who’s attending the event ahead of time and create some goodwill with your brand on it. If the event is taking place in a destination city, another thing you can do is create a fun infographic or map of the city with recommended restaurants and activities. Or, we’ll sometimes give away food in our suite that is unique to the area we’re in. Black-and-white cookies in New York City, Ghirardelli chocolates in San Francisco, and so on. Get creative! Bring your mic and video camera and capture some informal testimonials from your clients and partners. In today’s day and age of YouTube videos, you don’t need sophisticated lighting packages and third-party companies to help you with this. Trust me, your marketing team is already using Instagram and YouTube and they know how to record videos of other people. Recruit the millennial marketers who know plenty of ways to record video and put it up on the web to do these interviews. Yes, it’s nice to plan and schedule these ahead of time, but some of the best testimonials we’ve gotten have come from asking people on the spot for a quick testimonial about their experience working with DemandGen. It’s really ad hoc and informal, it only takes a minute or two, and you don’t need a lot of space to do it. In fact, the more formal you make it, the more unnatural and uncomfortable it’s going to be for your client. Whether you want to record them on an iPhone or invest in a digital camera is really up to you, but the cost of equipment is no longer the challenge. Whereas a professional videographer can cost several thousand dollars, we’ve made a one-time $750 investment in a Canon EOS 70D with a special microphone that captures good sound quality in noisy areas. If you use a smartphone, just purchase a simple JOBY tripod stand to keep it steady. We host all of our videos on Vidyard, which provides more robust capabilities than YouTube (check out my recent interview with Vidyard CMO Tyler Lessard). You’ve spent a great deal of time and money planning and preparing for the show. You’ve followed all my other tips, you’ve hosted events, you’ve held meetings in your suite, and you’ve generated leads. Make sure you protect your investment by having a solid follow-up plan in place before the conference so that the ROI doesn’t end when the conference does. So many marketers I know go on vacation immediately after a conference because they’re exhausted. If they don’t start thinking about the follow-up plan until they get back, weeks will pass before it’s executed. By then, it’s too late. Your competition at an expo isn’t just your direct competitors. Everyone is competing for attendees’ mindshare at a conference. And the follow-up that they’re doing is going to compete with yours as well. You have to be first in your follow-up, and you have to be effective. Along with following these tips, be sure to associate the leads you generate with a campaign in your systems so you can evaluate the ROI. If you aren’t able to justify doing the show again next year, it will be that much harder to get funding in the future. 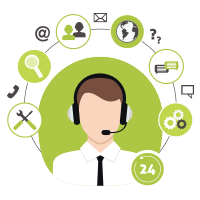 Your team must be extremely diligent about accurately loading leads into your marketing automation and CRM systems and properly attaching them to the associated campaigns. By doing so, opportunities that are created will be associated to the events that will help to justify a reinvestment next year. And as you’ve seen from these tips, there is no way people won’t know you’re at an event if you don’t sponsor a booth. In fact, you should be doing all of these other things whether you have a booth or not. So, there you have it: ten great ways that have worked for us and will hopefully work for you. All of us have our various recipes for success when it comes to tradeshow marketing. What have you tried that’s worked for you? I would love to hear your stories and ideas in the comments below. 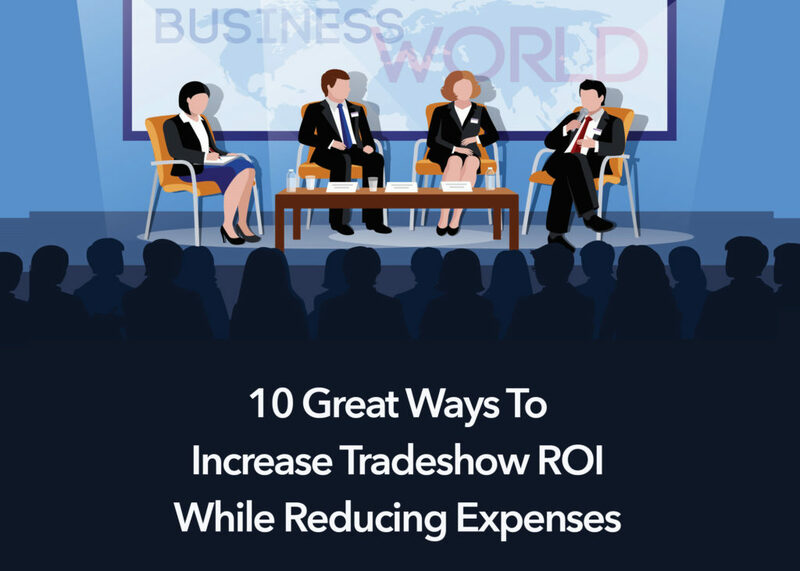 Thanks for the heads up that one should think about the following when putting up a trade show exhibit: exhibitor costs, cost per square foot, booth design, and staffing. If I were to have an exhibit made, I would ask the help of a professional to help make it on behalf of a company. This will not only help a company focus on the face-to-face marketing strategy but also get a great client magnet for a great price.